Telephone numbers are not everyone’s idea of a hot topic. But they are important—and, actually, pretty timely. A story from the UK went viral this past weekend, when a woman claimed that a food delivery service driver contacted her via her personal number and sent her creepy messages about whether she had a boyfriend and such. Avoiding just this kind of interaction (not to mention invasion of privacy) was one of the first use cases for Communications Platform as a Service (CPaaS). Providers like Twilio and Vonage Nexmo enable customer-to-driver communications in apps such as Uber, creating a sort of double-blind system -- you connect via the app, without either party knowing the true contact number of the device they're calling or texting. The UK story illustrates why such services are needed in a world where commerce is increasingly driven by interactions between individuals, i.e., the "sharing economy." The problem with the sharing economy is that there are lots of things you don't want to share with the stranger who's giving you a ride or bringing you some takeout dinner. The incident also illustrates the continued importance of phone numbers. No one is particularly attached to the 10-digit strings of numbers that uniquely identify individual phones; the format is just a relic of early-20th-century technology. The unique identifier could have been something else, but now that it's a series of numbers, there's good reason to keep that format and adapt ourselves to reach the uniquely-identifiable devices that reign during the second decade of the 21st century. Businesses outside of the sharing economy still have lots of use for phone numbers too. It's still the lowest-common-denominator way to reach a company with which you do business, and it's still the surest way to talk to a live person, in real time, when your problem resists being solved any other way. Thus we come to number porting. As consultant Melissa Swartz explained in a No Jitter post last week, number porting is one of the most laborious -- and important -- tasks you'll have to undertake as you migrate from a premises system to Unified Communications as a Service (UCaaS). It is not, strictly speaking, a technical task. It does involve identifying every phone number you currently own that will be served by the UCaaS provider after the cutover. As Melissa explains, the UCaaS provider takes over these numbers; after the cutover, people calling your business are actually hitting the UCaaS provider's system, which then delivers the traffic to your end users over the WAN links that connect your sites or users to the UCaaS datacenter. "The most important thing you can do to prepare for this is to compile an accurate inventory of your existing numbers and identify their use," Melissa writes. "Sounds easy, right? This is often much harder than it sounds, especially if you have a system that's been in place for some time." To me, the case of telephone numbers illustrates how the migration from legacy systems to truly innovative new applications happens in the real world. 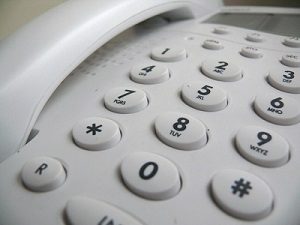 Start with a business reality: Telephone numbers continue to be important to customers and employees. That means a legacy technology has to be retained, but also brought into the modern era. Customers are using their telephone numbers on mobile devices that they don't want identified to the outside world; and there happens to be an emerging technology, communications APIs, to meet this business need. At the same time, on a strategic level, you also want to leverage an emerging platform option -- UCaaS -- in a way that's completely transparent to your customers, employees, and partners, which means not changing your phone numbers. There's not really a new technology for this part. Just attention to detail and a thorough audit of your current facilities. These kinds of challenges, met with technologies and methods old and new, make up the mission of enterprise communications teams. That means they're also the mission of Enterprise Connect Orlando 2018, which takes place March 12-15. Melissa Swartz will be doing a breakout session on "Avoiding the 'Gotchas' in a Cloud Migration" -- number porting being an obvious such challenge. We've also got lots of sessions on emerging technologies including communications APIs. You can register here for Enterprise Connect Orlando 2018, and now's a great time to do it: We've extended our Advance Rate, the lowest rate we offer, to this Friday, January 19. I hope to see you in Orlando.